January kicked off the year with a few alarming numbers. 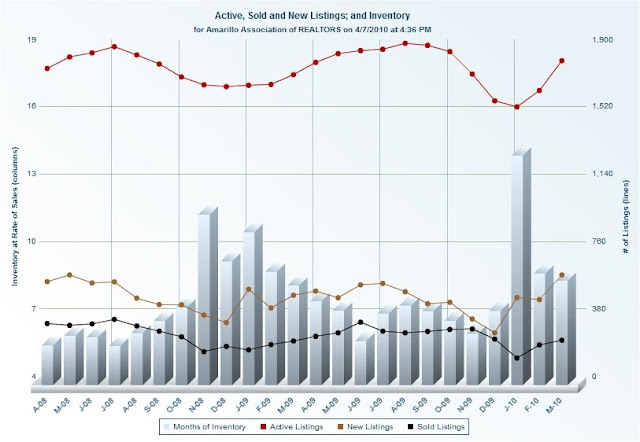 With only 107 listings sold (lowest in over two years), A huge jump in new listings (447 new listings) and 1,520 active listings, Amarillo was left the largest supply of inventory (14.21 months) we have see in a long time. February and March brought better home sales and with a lower number of new listings the inventory levels have dropped down to an 8.64 month supply. This level is still above normal and is just slightly higher than last year this time. 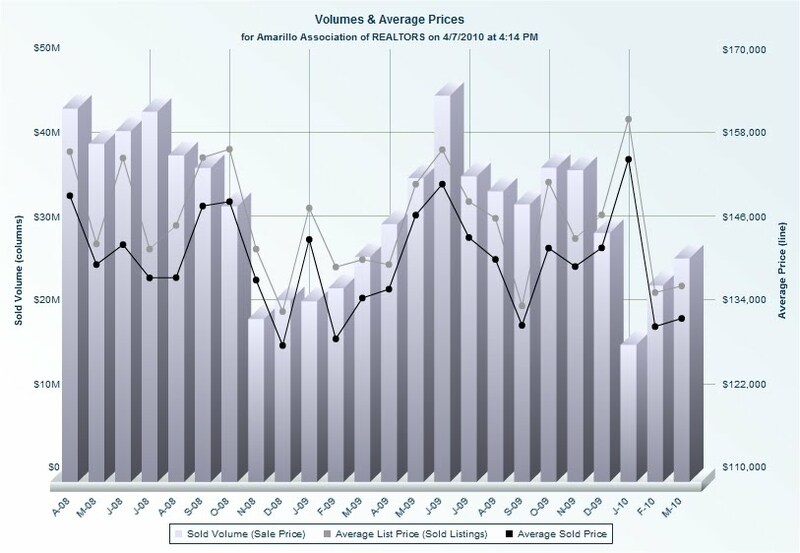 At the end of the 3rd quarter the average DOM (days on market) was at 99 days and the average selling price in Amarillo was $134,455 which is only $2,906 down from a year ago. The total sales for the 1st quarter came out to $66.49 Million which is $5.06 million down from 1st Quarter 2009. With the first time home buyer’s and the existing home owners tax credits said to wrap up this month we are expecting to see an influx of contacts on real estate which will result in elevated sales in May and June. Amarillo has been and is continuing to be one of the strongest real estate markets in the US. Conservative local lenders, a strong economy and the core values of Amarillians have kept us WAY above the national trends in real estate. Over the last two years Amarillo has shown strong resiliency against tumbling home values and artificially high foreclosure rates. The Amarillo real estate market as a whole is down only 2-5% in values from 2008, the main factor is elevated inventory levels which cause the average DOM to be longer. As the spring time is upon us we are looking forward to an increase in real estate activity and hope to steadily increase numbers across the board this spring and summer. 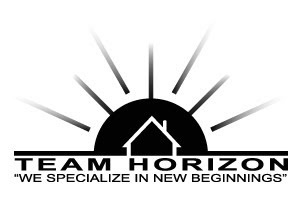 For information specific to your neighborhood or for a free real estate consultation please contact me at 806 654 3842 or dirk@sweethomeamarillo.com I work with buyers and sellers. 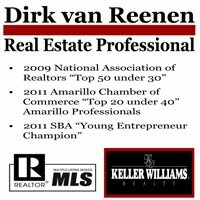 Information from the Amarillo Association of Realtors and Compiled by Dirk van Reenen for the use of marketing by Dirk van Reenen only. 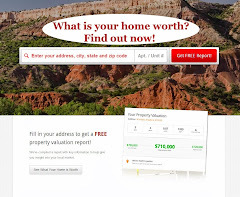 Find out what your home is worth right now! A New Future for the Falcon Club in Amarillo? The Fabulous Historic Waymouth House Amarillo on the Market!! A New Future for the Falcon Club in Amarillo, The Other Side of the Story. Awesome Woodlands Home up for Auction: 6901 Silverbell..SOLD AT AUCTION!! !